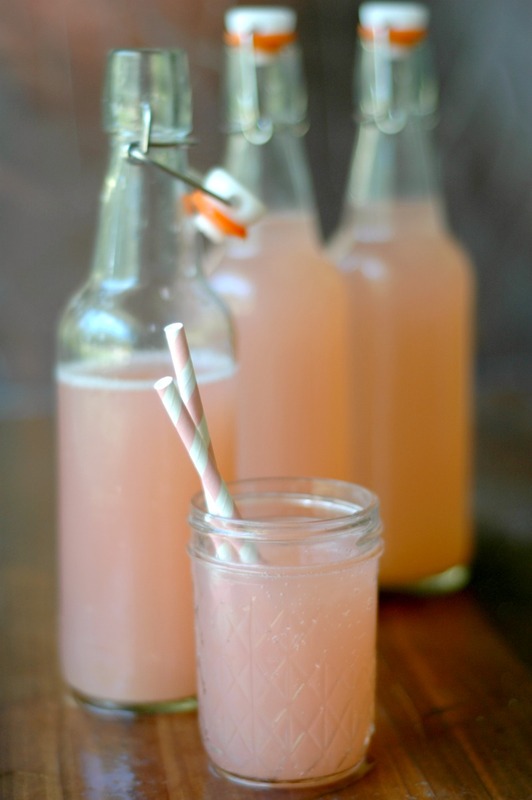 Honey Rhubarb Water Kefir Soda :: A naturally probiotic rich fizzy, fun drink for the whole family! Honey rhubarb water kefir soda is a naturally probiotic rich fizzy, fun drink for the whole family! Spring rhubarb, spring temperatures…and spring birthday babies! 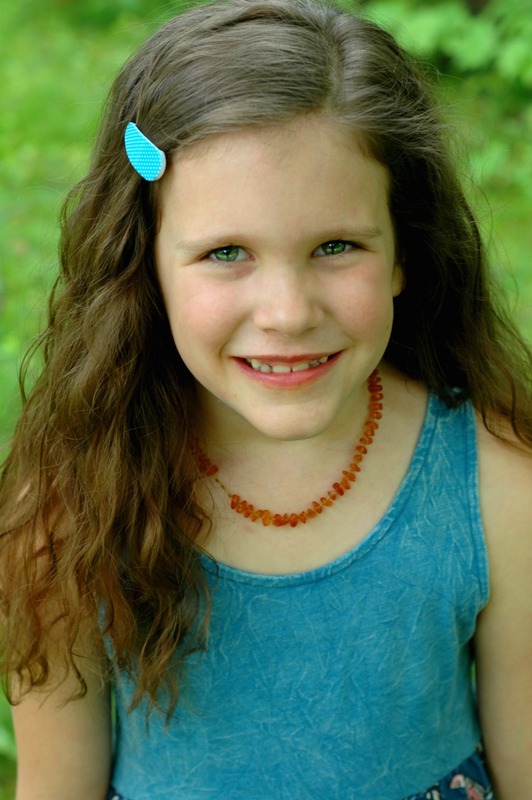 Well she isn’t really a “baby” anymore, but my oldest turned 8 years old a couple weekends ago, and I’m declaring I’m still allowed to call her my baby! 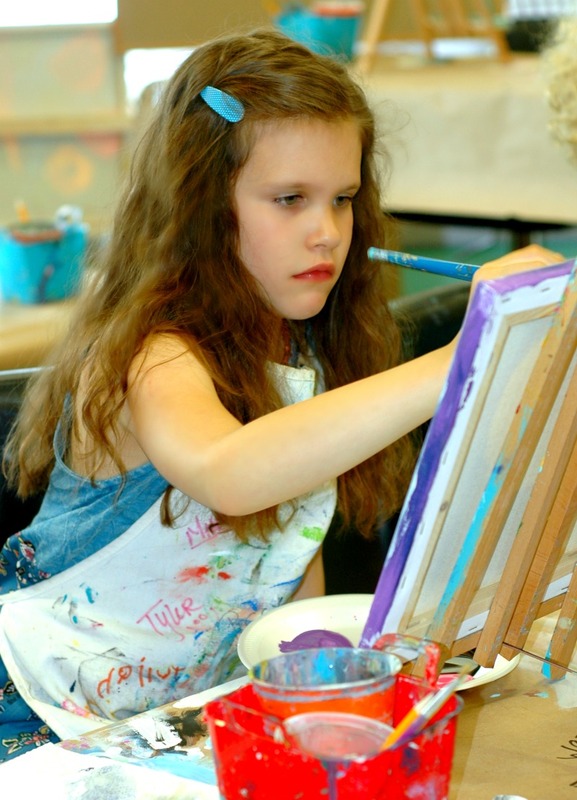 We celebrated her birthday with canvas painting, blowing out candles, and enjoying her friends! This sweet baby has the kindest heart and more compassion for people than anyone I have ever met. She is so special, and I am truly blessed to call her mine. My late spring birthday baby also just happens to *big puffy heart love* rhubarb! Rhubarb is always in full swing around her birthday, and making her a special bubbly birthday drink with rhubarb for her special day has become tradition! 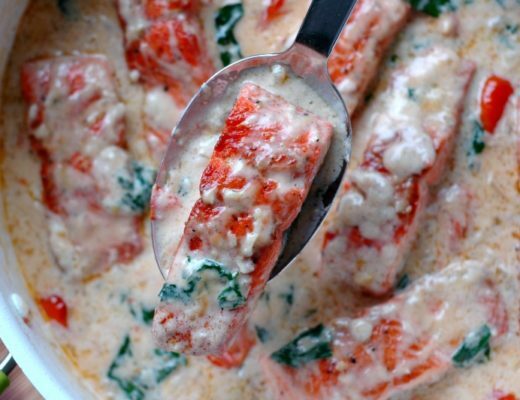 I can’t wait to share this recipe with you! Water kefir is a mild, kid friendly fermented drink. The gelatinous water kefir “grains” (not a grain at all by the way!) are little colonies of beneficial bacteria that infuse the water it breeds in with numerous cultures and food enzymes. It has a mild lemony flavor upon fermenting, and you can flavor this finished kefir however you wish. In today’s recipe, we are flavoring our finished kefir with raw honey and rhubarb. For more in depth information on the who, what, when, where, and why of water kefir, see this post, Water Kefir Basics, to learn more, and then hop back over to make your honey rhubarb soda. It’s all about that flavor! If I’m gonna take the time to do a second ferment on my water kefir, I want it to have a super fun, bold flavor. Usually loading up the bottle with whatever chopped sweet fruit is in season does the trick. Rhubarb is a bit tricky because it is so tart. The flavor is so amazing, however, so infusing some water with that big flavor and then sweetening the deal with our favorite local raw honey makes the most amazing, bright pink “rhubarb syrup” to flavor our water kefir with! Honey Notes :: I know so many love rhubarb and strawberry, but let me tell you…rhubarb and raw honey are a match made in heaven. 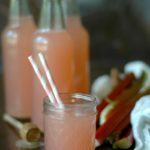 It is my favorite way to sweeten up rhubarb, and if you have a fantastic local raw honey source that you just love the taste of, you will not be disappointed! If you don’t have a local raw honey source, this is a good raw honey to use, or you can swap it for organic cane sugar. Fermenting Tools :: You will read in my Water Kefir Basics post that I love fermenting my water kefir using Pickle Pipes, and then finishing off those flavored second ferments in air tight, grolsch type (swing top) bottles. It makes the fermentation more efficient, giving way to a super effervescent fizz you will love. Recipe Size :: Also keep in mind that if you are only brewing a quart of water kefir at a time, you will want to half this recipe. I ferment a half gallon at a time so this recipe represents what I always make. Bring the sliced rhubarb and water to a simmer for about 10 minutes until the rhubarb is disintegrated. 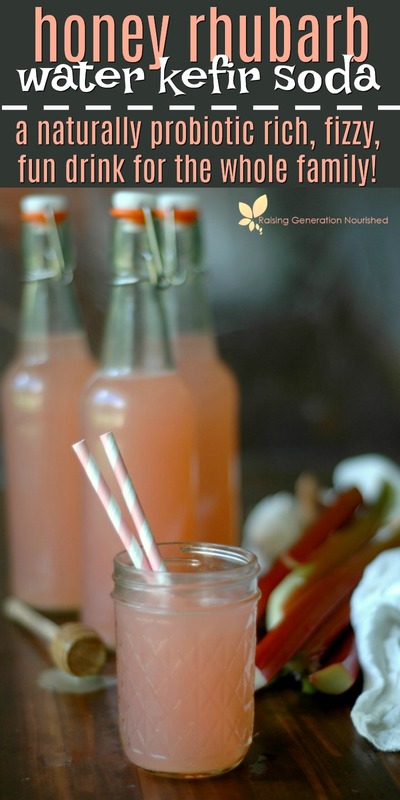 Strain out the rhubarb fibers, leaving behind the pink, rhubarb infused water. 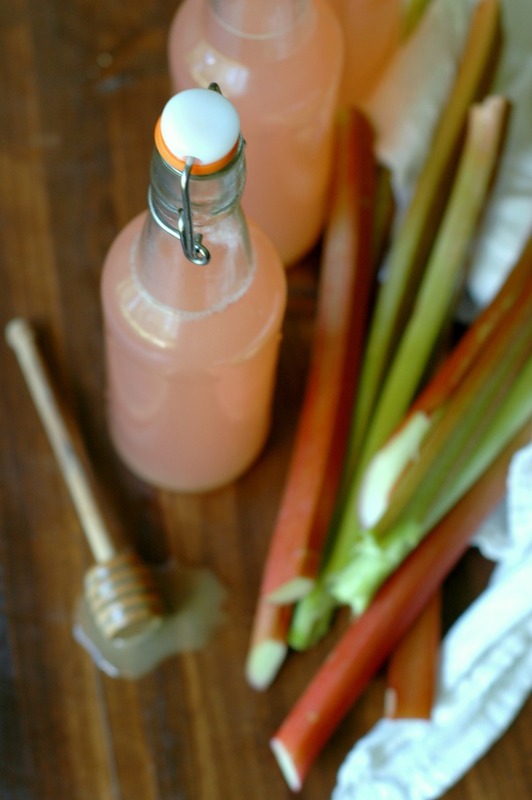 Leave the rhubarb infused water to cool a bit before stirring in the raw honey to dissolve. Add the vanilla extract at this point too. 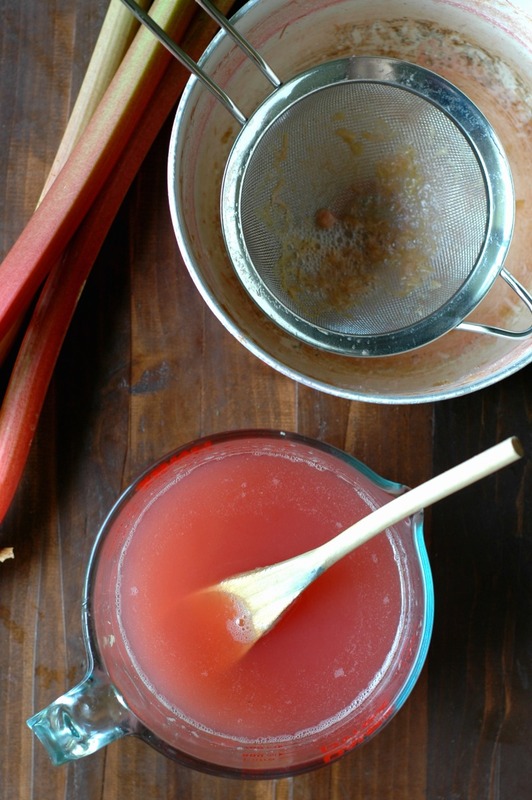 When the rhubarb syrup has cooled to room temperature, add the finished water kefir to the bowl (if you add the finished kefir to the rhubarb syrup when it is still hot, it will kill off the bacteria, so be sure it has cooled off). Stir the rhubarb syrup and kefir together, and pour the rhubarb kefir into swing top bottles using a funnel (Leave a few inches of headspace at the top to account for gas build up. This batch will fill up 4-5 of these sized swing top bottles.). Seal the tops and ferment the drink for 1-3 days to your taste. You can open the bottles daily to release the built up gasses and taste if it is done to your liking. Fermentation rates are variable upon temperature of the room as well as the strength of the culture. When it is above 70 degrees, I have found water kefir doesn’t need more than a good 24 hours. I LOVE that you make this for her birthday, such a fun tradition with all of that beautiful rhubarb you have growing! This water kefir sounds delicious, I wish I had some to sip on right now. Would this also work with Kombucha? Yum, I love water kefir! Such a good idea to use rhubarb. I’ll have to try it next time! Rhubarb reminds me of my grandma’s kitchen in Finland. I need to try this. This is so neat, I love rhubarb too, and I’m always looking for new creative ways to use it! This drink looks so refreshing ! 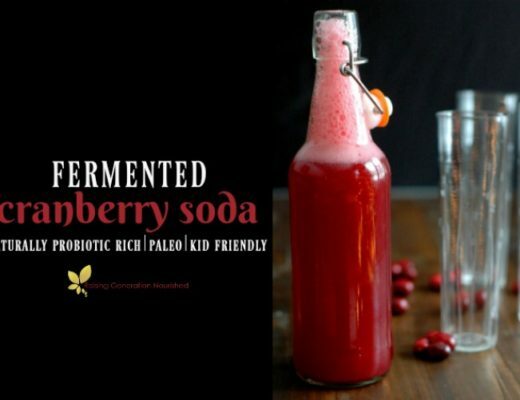 My husband loves natural/homemade kefir soda so I will be trying this for sure ! I am so inspired to start making my own water kefir soda thanks to you! Such a fun healthy treat for those dog days of summer! I have kefir grains waiting patiently in my freezer, I need to get on this!! 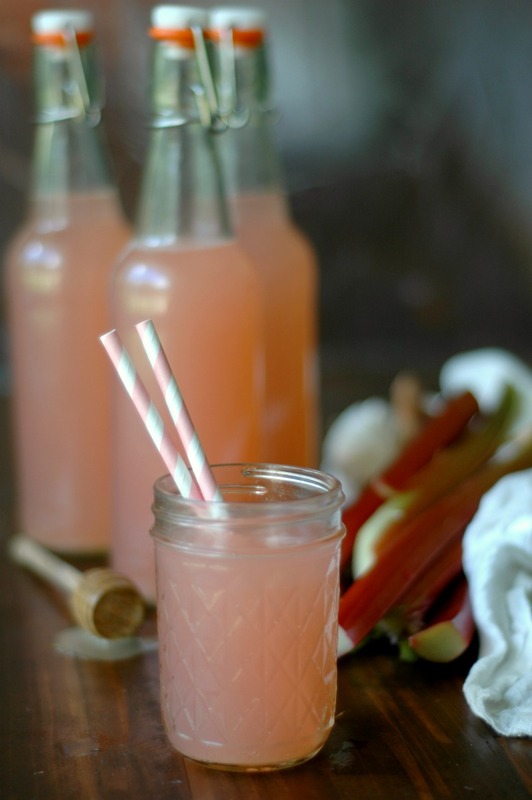 I love rhubarb – and this looks like a really refreshing drink. Beautiful! This is such a pretty color, and sounds delicious! Wow, I never would have thought to flavor kefir water with rhubarb! It looks and sounds so refreshing.